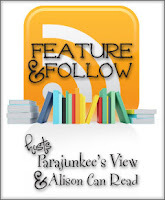 Feature & Follow Friday is a weekly feature/meme hosted by Parajunkee and Alison Can Read. You must follow both hosts Rachel @ Parajunkee and Alison @ Alison Can Read. You must follow both featured bloggers of the week (linked below). Do your own Feature & Follow Friday post answering the question/topic of the week and link to it at the provided linky on the hosts' website. 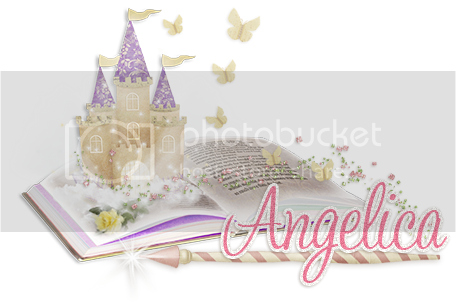 Visit other bloggers and comment! I recently decided to make The Paperback Princess solely a book blog, predominantly for YA books but I do also review other books out of this genre. My Blogging Resolution this year is to take a more professional approach towards this blog. Contacted several amazing Authors who were happy to participate in blog interviews...stay tuned for those as they'll be coming with fantastic giveaways!!! If you follow and comment on my blog, I will definitely take the time to return the gesture. Thanks for taking the time to read my blogging resolution for the year and Good Luck to all your resolutions. Great list! My blog is new and is now on Beta mode, I always thought the design should be the easiest part... wrong! Hopping through. Sorry you're having trouble with the linky. It's working fine for me. Sometimes this happens and it's happened with several people tonight. Reload a few times or give it a few minutes. That usually fixes it. Cross fingers! Hi from a new follower! Wonderful resolution! :) I want to be more like that with my blog, too. I re-designed today, though, so hopefully that will help! @ Rachel - I emailed you Rachel cos I was having problems commenting. Terrific resolutions Angelica! Thanks for stopping by My FF today and I answering your questions in a reply back. I'm following you back via GFC. You have a great list of resolutions! I haven't ever blogged before until recently, so I'm still getting the ropes of things. I have followed you and hope to keep in contact regularly! Thanks for stopping by my blog. Good luck with your goals. thanks so much for stopping by my blog. I am an old follower. Love your resolution! I was thinking about a blog planner, too. Might give it a try! Great resolutions! lol. Post a little hard to read tho. Keep blogging, and never quit would be my resolution/goal. I'm not much on resolution, but that should be simple enough to follow. Lol. That's a great list, even I'm currently working on my blog makeover. Good luck with yours. @ Valen - Sorry, I'm in the process of redesigning and the new blog won't be dark at all. For those that are commenting and following me for the first time, I've also gone and returned the favor. Great set of resolutions. I had my blog redesigned about a month ago by a friend, who I must say, did an awesome job. The clicky feather was added by her so I can't tell you how it was done, but I'm glad you like it. great resolutions! :D I have the same ones :P in a way. Good luck withn your resolutions. Blog looks beautiful so do not know if done it already anyway I like it. 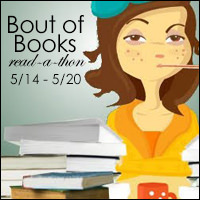 I just combined my YA Book blog with my Adult Book Blog. I do not know if it was just the holidays but it was too hard for a few months. Now I feel better. New Follower. Thanks for stopping by. Once you buy a URL you won't regret it. I love having something that looks all official. Thanks for stopping by! Following! I linked to your Mr Linky at Alison's #FF post cos many people couldn't see the Mr Linky on Alison Can Read or Parajunkee's Feature & Follow Friday post, hope you don't mind. Love the idea of more blog interviews! New follower via GFC! Deleted your post cos it was a duplicate. I just saw your Shadow and Bone review and I love it! Great illustrations, such a unique concept; reviewing books with pics. A lot of people want new designs. I wish I was still designing regularly. Hope you get a new design! Good luck with your list! I probably need to do all of those, lol. I finally got a blog planner. it helps a lot. good luck with your resolutions. taking a more professional approach to blogging sounds like a great idea and one that I wish to make steps toward as well. good luck, and happy new year! I actually like your blog design. Thank you for following me on my blog. I've thought about buying a domain name too. I just don't know if it's what I really want to do. We'll see. Good luck with your resolutions! I've been thinking about changing the design, but just can't find the time right now. Autum - wish you were too, I've found a few designers that I like but only 2 were still designing, and they're waiting list was too long. Jennifer - Pls link me to the blog planner you bought. Miss Knight - Thanks! This is a free design by Rachel @ Parajunkee...the host of Feature & Follow Friday, she's got a site specifically for web designing. Hi Angelica, followed you back. Good luck with your resolutions! I'd want to get a new blog design too, but I don't know what I would want. Those are some realistic and fantastic goals, Angelica! I look forward to all the interesting posts you have planned. I wish you all the very best in all your blogging endeavors! Thanks for stopping by my blog. These are good resolutions. I need to do more with author interviews myself. Thanks for following me, it's been reciprocated. Good luck on all your resolutions!